This is a 2 Hour walk through our first route, Districts 2 & 3, as well as a showcase of some of the best artists (according to them) that have painted in Valparaiso. 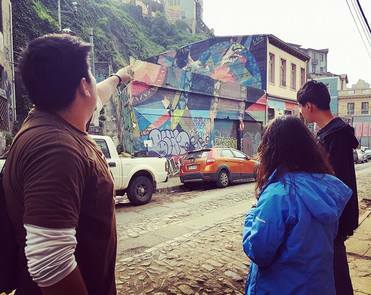 On this tour, you'll learn tons about local Graffiti & Street Art, and you'll get to visit some areas that not many travelers go through, as well as some of the touristy area. It's a great mix of both. And we repeat: Just show up, we're never there on sunday morning unless you have a private tour. We're trying to get enough sleep to do the tours, and we get drunken reservations every other night like at 1:30 am... And they say things like: "Dude, I'm totally going to your tour tomorrow; please make sure you wait for Josh, the, like, tall, like, handsome guy with the beard". 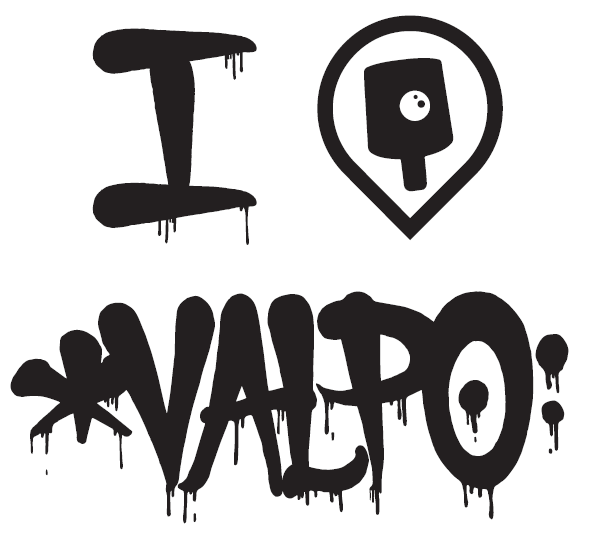 * WE DO NOT WEAR RED JACKETS WITH A "FREE TOUR" LOGO; We wear Valpo Street Art Tours T-SHIRTS (some say I [heart] VALPO) or a VSA Credential! • A great introduction to the city's street art and Graffiti , where you'll see over 30 artists, as well as over 200 murals and pieces, and throwies, and about 294,987,147.5 tags, and much more! !